Now you can leave a message in the PIRATES LOG! Welcome to the Pirate Pages at GW! With the help of ... Cap'n Henry, Dusty, Olki, Henry the Lion, Outback, Collectobart, Playmoliver, Customizer, and our very own Warrensde, we are launching the ... PIRATES! There will be reviews of all the ships. We will show you how to make your own sails. We will have great customs and how to's. We will have photo stories and scenes of buccaneers! We will have real pirate flags and pirate history. 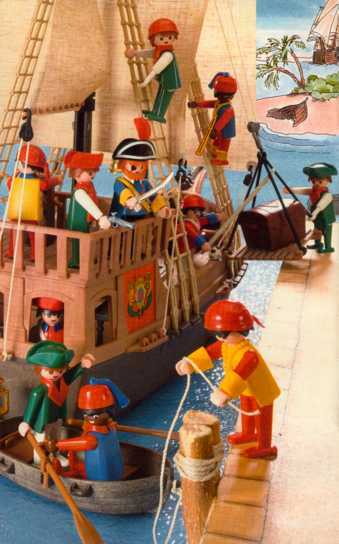 So ... if you love Pirates and Playmobil, this will be the place to be!